We are born to a network of roads surrounding us. 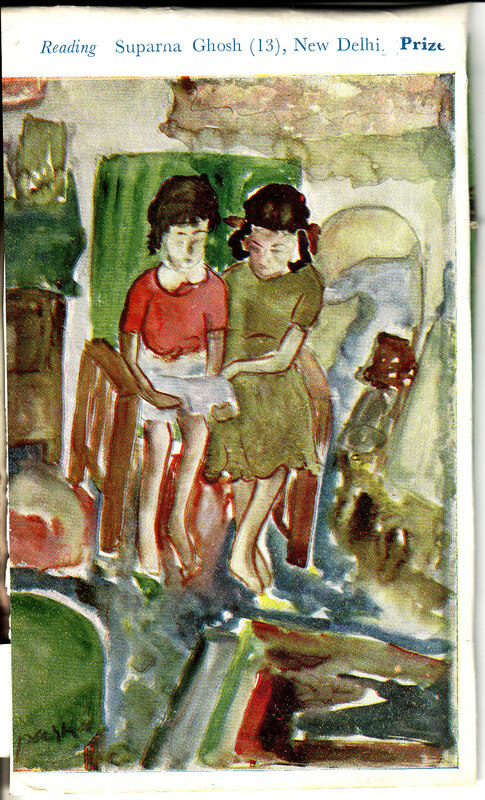 To a few we are led (school), to some we are guided (I to painting), on some we must tread (job, profession), on others we may land in spite of ourselves (society’s dictates: marriage or equivalent thereof; force of nature: children) and some paths are a calling, a passion. At times these roads may coalesce, but often not, and at a crossroads, we choose one or the other and the passion becomes our life or a memory. 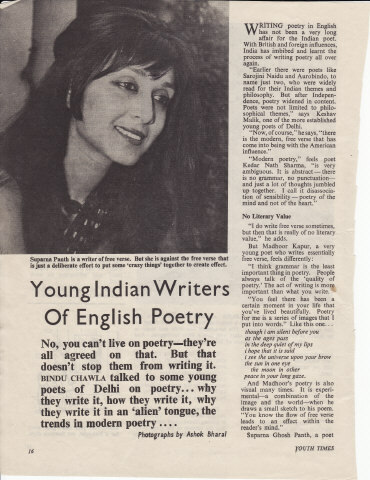 After schooling in the arts, selecting English, Economics and Mathematics for my Bachelor’s degree in Miranda House, Delhi University, was only marginally questioned. This was still a period of exploring myself. But when I selected Mathematics for my MA, everyone, including me, was left puzzled. Whether my brain is more advanced on the left or the right has remained a question mark. I traversed or toggled each of these tracks at various times in my life. For me the make-believe world of acting, to which no one guided me, no one led me, no one forced me, one I did not chance upon, which I chose, was a thrill that defined me. 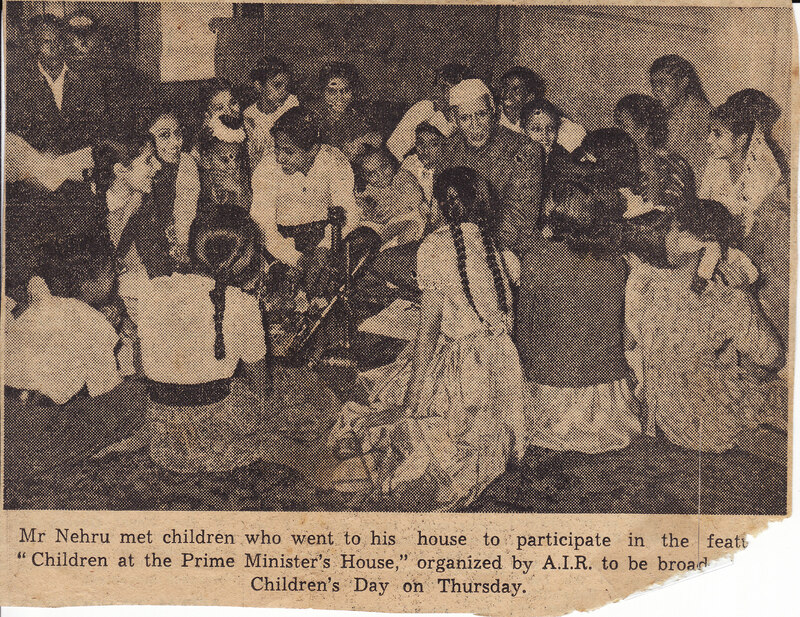 As a child of 11, I demanded that I be taken to the All India Radio station so I could be the one conducting the children’s programme broadcast each Sunday on radio. It was somehow wrong that I was not the one on the air waves. I would not be denied. 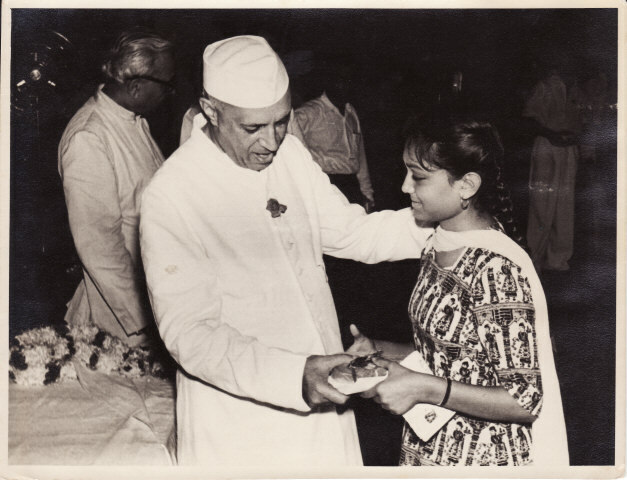 Nehru, the Prime Minister of India at the time, was passionately devoted to the children and the youth of the country, and, in spite of all the national and international demands on his time, he missed no opportunity to show his support for all their endeavours. Being on stage, impersonating someone else, and on television play-acting, were the inevitable, heady days I forayed into. 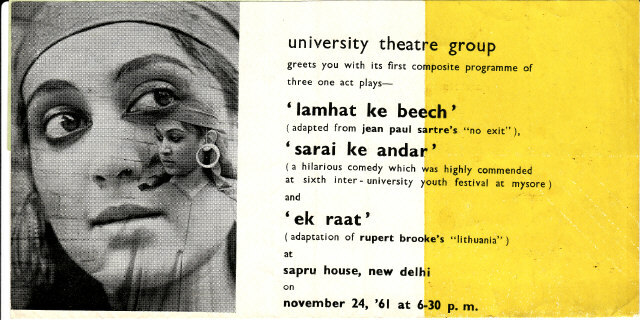 As a chairperson of the University Theatre Group, I produced and acted in several plays. 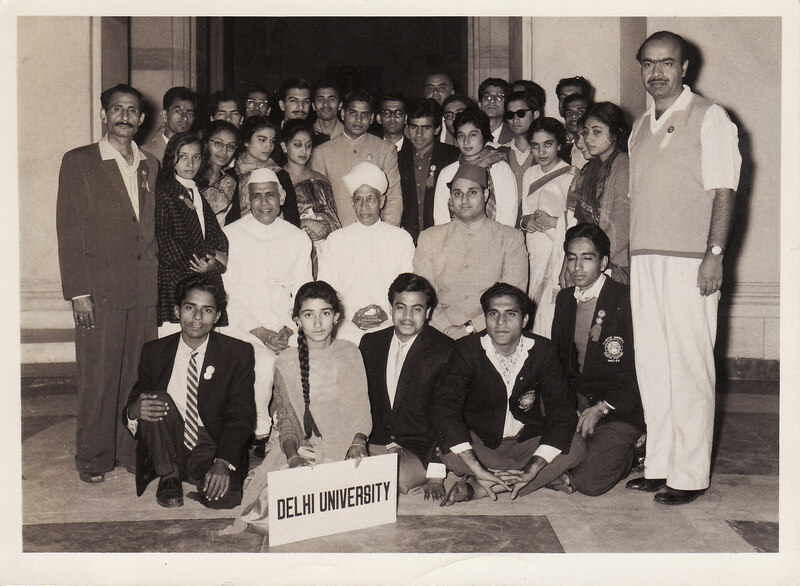 Representing Delhi University at the Inter University Youth Festivals and meeting vibrant students from several universities across India performing in plays, classical dances and music was invaluable and unforgettable. In Canada, those heady days of the microphone and camera appeared far away, until I started broadcasting again as an announcer and writer in Hindi, Urdu and English on Madhuban Radio Programme, one of the first such broadcasts for the South Asian community, started by Ashok Parihar. While playing pop music for nostalgia was fun, especially rewarding were the open-line talk shows dealing with subjects of interest in the context of the new generation – for instance, arranged marriages. Interviews with Canadians from various institutions – politics, the arts, the media – acquainted each with the other. 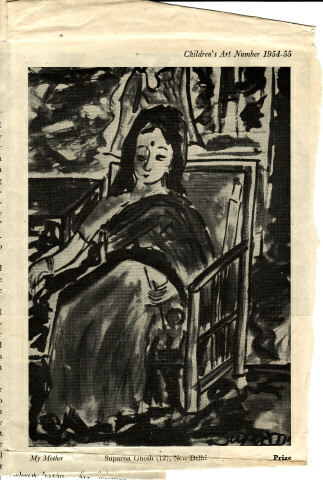 Whether I participated in Shankar’s International Painting Competitions for children from the age of 12, or 13, or exhibited in Delhi or Bombay or New York or Toronto, I always saw painting as an appropriation of my mother’s dream which continues to today. As a child I dreamed I was a bird and wrote a poem on my reverie. I never stopped flying with my feet on the ground. 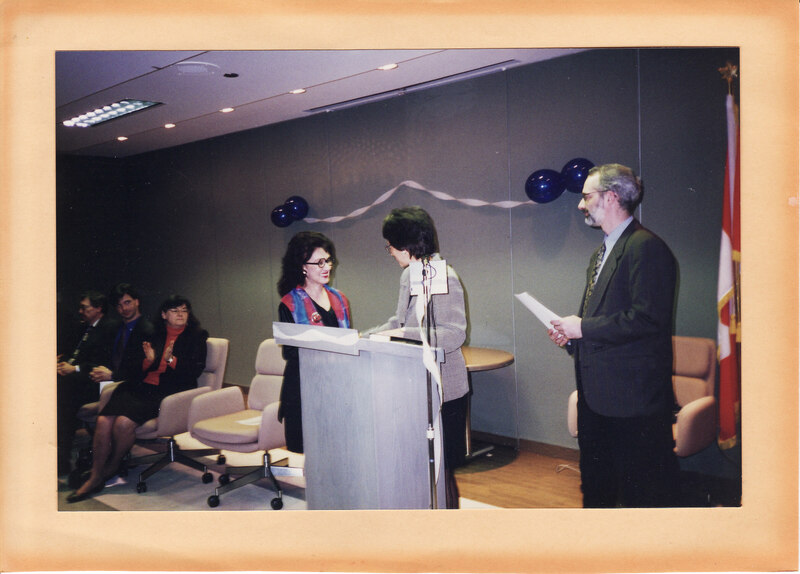 What fueled my passions was my enormously fulfilling and rewarding profession as an adjudicator with the provincial and federal governments of Canada for over two decades. All of the above was encapsulated in a recent interview on TV in Delhi with Sharad Dutt. Loved the interview with Sharad Dutt…rocking! аnd I am impressed! Ѵery helpful infߋ specially the last part 🙂 I care for such information much. I am actually grateful to the owner of this web site who has shared this enormous post at at this place. I hardly drop comments, but i did a few searching and wound up here Earlier Years | Suparna Ghosh.